it describes and praises the amazing and great love of God who created the universe and all the living things. Teng-Ko Weng was born in 1960 in Taipei, Taiwan. He was raised in an orphanage. To pay for his tuition, Weng worked part time as a street artist and art teacher. His unique experiences on the street exposed him to a variety of art styles and mediums. Weng studied at the Fu Sing Trade School in Taiwan, where he graduated with a Diploma in Fine Arts in 1979. When he was 20, Weng fell ill to meningitis, and lost a part of his hearing. Weng owes his miraculous recovery to his Christian faith. Weng’s incredible life experiences and extensive learning process has laid a profound foundation for his art career. Weng’s work has been met with critical acclaim and has received several first prize awards. He had published an album of his paintings, an autobiography, and a calendar with his oil paintings. In 1993, he earned a religious artistic award from a Christian art organization in the United States. His works are frequently on display in art galleries and museums. Internationally and locally, he has been in many exhibitions, including The Second Annual Christian Arts Festival in Los Angeles. He has also hosted many solo exhibitions at many places, some of which include: the Pang Pik Gallery (Taiwan), Hao Lai Art Center (Taiwan), Shadbolt Center (Canada), Langley Centennial Museum (Canada), and the Deer Lake Gallery (Canada). In 1995, Weng emigrated from Taiwan to Canada and now lives in Burnaby with his wife and three children. He is a senior member of the Federation of Canadian Artists (SFCA) and the Burnaby Art Council. He is the founder of the Teng-Ko Weng Art Studio. 2018 Joint Exhibition for North American Artists at Taipei Economic and Cultural Center, Toronto, Canada. 2018 Joint Exhibition at Fun International Art Exposition at Taipei World Trace Center, Taiwan. 2017 Joint Exhibition at CCM, Canada. 2017 Participated in an charity event hosted by Class of America (COA). 2017 Joint Exhibition hosted by Amerasia Bank in New York, USA. 2017 Joint Exhibition of Senior Members of Federation of Canadian Artists (SFCA). 2016 Invited to Joint Exhibition by Arts Charity in Taiwan. 2016 Joint Exhibition at Art! Vancouver, Canada. 2016 Joint Exhibition for North American Artists at National Taiwan Arts Education Center. 2016 Awarded the status “SFCA” by the Federation of Canadian Artists. 2015 “Painting by Numbers” Charity Exhibition hosted by the Federation of Canadian Artists. 2015 Joint Exhibition “Works on Paper” at the Federation Gallery, hosted by the Federation of Canadian Artists. 2015 Joint Exhibition (with Kuo-Chuang Chu) at CCM, Canada. 2015 Awarded Bronze Medal in The First Canada Chinese Arts Bridge Arts Competition. 2014 Joint Exhibition at The Crystal, hosted by the Chinese Canadian Artists Federation in Vancouver. 2014 Joint Exhibition at The Crystal, hosted by the Taiwanese Canadian Artists Federation in west-coast Canada. 2014 Artwork is selected to be in the juried “Spilsbury Medal Show”, in the AFCA status Category, hosted the Federation of Canadian Artists. 2014 Artwork is selected by the Federation of Canadian Artists in their 5th Annual Open International Juried Exhibition of Representational Style. 2014 Artwork is selected by the Federation of Canadian Artists to compete in their 2015 calendar “365” selection competition. 2014 Artwork is selected by Artists Association of Canada in their Digital Exhibition. 2014 Joint Exhibition at the National Taiwan Museum of Art Exhibition, held by the Chinese Canadian Artists Federation in Vancouver. 2013 Joint Exhibition at CCM of Canada, hosted by the CCAFV – Taiwanese Canadian Artists Federation in Vancouver. 2013 Joint Exhibition at CCM of Canada, hosted by the CCAFV – Chinese Canadian Artists Federation in Vancouver. 2013 Awarded Best Still Life Award – from the “Annual International Representational Show – AIRS” at the Federation Gallery, hosted by the Federation of Canadian Artists. 2013 Joint Exhibition “Spilsbury Medal Show” at the Federation Gallery, hosted by the Federation of Canadian Artists. 2012 Student-Teacher Exhibition at CCM of Canada. 2012 Received the Art Educator Award from the explorART children’s creative painting awards and exhibition. 2012 Joint Exhibition at CCM of Canada, hosted by the Western Canada Taiwanese Artist Association. 2012 Joint Exhibition “Abstract Show” at the Federation Gallery, hosted by the Federation of Canadian Artists. 2011 Received signature status; became an Associate member of the Federation of Canadian Artists (AFCA). 2010 Joint Exhibition “Canvas Unbound” at the Federation Gallery, hosted by the Federation of Canadian Artists. 2010 Received the Art Educator Award from the explorART children’s creative painting awards and exhibition. 2010 Joint Exhibition “Still Life” at the Federation Gallery, hosted by the Federation of Canadian Artists. 2010 Joint Exhibition “Abstract Show” at the Federation Gallery, hosted by the Federation of Canadian Artists. 2010 Joint Exhibition hosted by west-coast of Canada Taiwanese-Canadian Association at University of British Columbia, Canada. 2009 Joint Exhibition at CCM centre, hosted by the Western Canada Taiwanese Artist Association. 2009 Joint Exhibition “3 Dimensions, No Waiting” at Deer Lake Gallery, hosted by the Burnaby Arts Council. 2009 Student-Teacher exhibition at CCM, BC, Canada. 2008 Invited by the Taipei Economic and Cultural Office, Vancouver to be a part of a multiple exhibition for Taiwan Day festival, Canada. 2008 Received the Bole Award from the explorART children’s creative painting awards and exhibition. 2007 Artwork Exhibited at the Plain Air Show, Semi Abstract Show, and Human Figure Exhibition hosted by the Federation of Canadian Artists. 2006 Solo Exhibition at CCM of Canada. 2005 Invitation from Taipei Economic and Cultural Office, Vancouver to be part of a multiple exhibition for Taiwan day festival, Canada. 2005 Joint Exhibition at Canada Taiwan Bird Fair. 2005 Joint Exhibition hosted by west-coast of Canada Taiwanese-Canadian Association. 2005 Published Gospel Oil Painting Calendar for Year 2006. 2005 Became a Member of the Western Canada Taiwanese Artist Society. 2004 Published Gospel Oil Painting Calendar for Year 2005. 2004 Became a Member of the Burnaby Art Council, Canada. 2003 Received invitation from West Langley Elementary School to create a piece of artwork, which was to be forever treasured, in Langley, Canada. 2003 Solo Exhibition at Hsin-Chu Mackay Memorial Hospital, HsinChu, Taiwan. 2003 Solo Exhibition and New Book Press Conference, Malaysia. 2003 Joint Exhibition with Chinese Christian artists at the Building of Chinese Christian Mission of Canada, Vancouver, Canada. 2003 Solo Exhibition at Taiwan Semiconductor Manufacturing Company Ltd, Hsin-Chu Science-Based Industrial Park and Tainan Science-Based Industrial Park, Taiwan. 2002 Solo Exhibition and New Book Press Conference at Christian Cosmic Light Holistic Care Organization, Taiwan. 2002 Published an autobiography (ISBN: 9789577271860). 2002 Joint Exhibition at Langley Centennial Museum, Canada. 2001 Becoming A member of Federation of Canadian Artists, Vancouver Canada. 2000 Joint Exhibition at The Third Annual Christian arts Festival, Los Angeles. 1999 Teacher Student Joint Exhibition at Surrey Nazareth Church. 1999 Joint Exhibition at Vancouver Formosa Academy, Canada. 1998 Featured Exhibition at Concerned Christians For Indonesia Memorial Service, Los Angeles. 1998 Joint Exhibition at Robson Square Conference Center. 1998 Joint Exhibition at The First Annual Christian Arts Festival in Los Angeles. 1997 Joint Exhibition with Taiwanese Canadian artists at Shadbolt Art Center, Canada Solo Exhibition at Long Life Art Gallery. 1997 Solo Exhibition (Oil Paintings) at Ling Life Art Gallery in Vancouver, Canada. 1997 Solo Exhibition (Oil Paintings) at Taiwanese Canadian Cultural Society, Vancouver, Canada. 1996 Join Exhibition at Yong Ya Gallery, Taiwan. 1996 Joint Exhibition at Anniversary celebration of Long Life Art Gallery, Vancouver, Canada. 1995 Solo Exhibition at Yong Ya Gallery, Taiwan. 1994 Joint Exhibition at Pang Pik Gallery, Taiwan. 1994 Solo Exhibition at Yong Ya Gallery, Taiwan. 1993 Joint Exhibition at Der-Hong Art Gallery, Taiwan. 1993 Awarded USA Christian Annual Literary Prize, Religious Art Prize. 1993 Solo Exhibition (Oil Paintings) at HaoLai Art Center, Taipei, Taiwan. 1993 Chinese Television Media Center Joint Exhibition with a student, Niu Ti-Lei. 1992 Joint Exhibition at HaoLai Art Center, Taipei, Taiwan. 1992 Joint Exhibition and Charity Bazaar at Dimension Endowment Of Art, Taipei, Taiwan. 1992 Joint Exhibition at Capital Art Center, TaiChung, Taiwan. 1992 Solo Exhibition at Tai Ching Capital Art Center, Taiwan. 1991 Joint Exhibition at Tai Chung Capital Art Center, Taiwan. 1990 Awarded by Lai Lai Department Stores Co. Ltd., Taiwan in a sand sculpting competition. 1990 Nominated at Tai Yang Sculpture Competition, Taiwan. 1988 Solo Exhibition at Nang Hua Gallery, Taiwan. 1988 Joint Exhibition at Huntington Library, Los Angeles. 1986 Solo Exhibition at Crown Art Center, Asia Joint Center, Taiwan. 1986 Joint Exhibition at Deng Huang Art Center to benefit old soldiers come home, Taiwan. 1985 Exhibition at Taipei Municipal Art Museum, First Place Award, Taiwan. 1984 Duo Exhibition at Far East Gallery, Taiwan. 1982-3 Multiple Exhibition at Chien Cha Art Gallery, Taiwan. 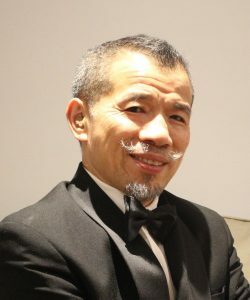 1960 Born in Taipei, Taiwan.